Suzanne Carroll sells Cool Clutch women’s handbags, cool by name and cool by nature! Ever dreamed of starting a business? Suzanne Carroll of Gisborne in central Victoria woke up on the morning of 30 October 2015 and told her husband that she was going to start a business called Cool Clutch selling ‘cool by nature and cool by name’ handbags for women. And she did. True story! One of the fastest growing sectors of entrepreneurs is that of middle-aged women and you can’t go past Suzanne of Cool Clutch for inspiration. Having stepped away from her previous marketing work in the corporate sector for health reasons, Suzanne had been searching for an idea. ‘I was too young to retire and too old to be employable. I wanted to sell something online so I could stay home in my PJ’s’ she laughs. Nothing could be further from that vision. Instead of languishing at home in her PJ’s she has found herself totally out of her comfort zone, drawing down on her house mortgage to fund the start-up, travelling overseas to negotiate with manufacturers, diving into the alien and expensive world of patents, entering and winning a Pitchfest, and becoming the very visible public face of her unique product. Not one to sit around, Suzanne registered the domain name ‘Cool Clutch’ that very first day. While it may seem impulsive, having previously seen a cooler bag that stored wine on its side instead of in the usual upright position, Suzanne had noted that there wasn’t one available in Australia and this idea had been bubbling away subconsciously for some time. Her idea was to create stylish handbags that could also discretely store and keep cool wine, lunches and even medications that deteriorate in hot temperatures. The patented distinction is a removable pocket that sits within the handbag. She contacted thirty-two manufacturers via China’s Alibaba website. Those that spoke good English were followed up. Three were short listed before Suzanne met with them in Hong Kong. After selecting one they worked together on the design. Suzanne paid thirty percent upon placing the order, and a further seventy percent when the first 2,500 handbags were ready to be shipped. It should have been an exciting day when the container arrived in Melbourne, but it turns out that some manufacturers like to cut corners and a great proportion of the initial order were faulty. With the benefit of hindsight, Suzanne would advise others to do it differently. With a sample of what she wanted to achieve and a list of questions to ask, Suzanne returned to China in August 2016 to negotiate with a new manufacturer and personally tour their factory plus engage a quality agent. Thankfully it was a much better outcome this time round. Another valuable lesson has been to scale back the designs and colour choices. Obviously a website is crucial for an online business. It took Suzanne three attempts and over a year to get a site that she is happy with using Wordpress and WooCommerce. ‘Your biggest investment is your shop front. Don’t go with the first “special offer” on a website design you see advertised on social media’ she advises. Once again she learned a valuable lesson and researched who had the skills to do the work to her satisfaction. Once established she was able to look after the website herself. A Facebook community of 4,500 people has become a useful marketing tool for Cool Clutch’s direct sales. ‘I’m self-taught in social media,’ Suzanne admits but loves the fact that she can drill down into demographics when boosting posts for as little as $20. She has also learnt the distinctions between different platforms. ‘When I’m on Facebook I talk like I do to my girlfriends, but when on Linked In, it is more business.’ But at the end of the day it is word of mouth that generates the most sales. Finding wholesalers for Cool Clutch has been another trial and error process. She began by attending the major gift and homeware expos but, having such a unique product, has realised that it is more effective to research the demographics and go into the stores personally. While Suzanne looks after the sales in Victoria, she also has an agent in New South Wales, and is currently seeking agents for Queensland and South Australia. A recent visit to the Barossa Valley revealed that wineries are a great fit for her products. Entering and winning a Bendigo Pitchfest in November 2016 gave Suzanne a great confidence boost, as did being named in the Australian Top 50 People in eCommerce in early 2019. ‘It’s nice to be recognised,’ she admits. If Suzanne has one more dream, it is to grow the business up to a level where she can build a new office and warehouse with a child care centre so more women are empowered to work. Now that’s a cool dream! As home-based businesses gather traction with their online retailing, another need emerges when customers start to seek access to a physical store front. 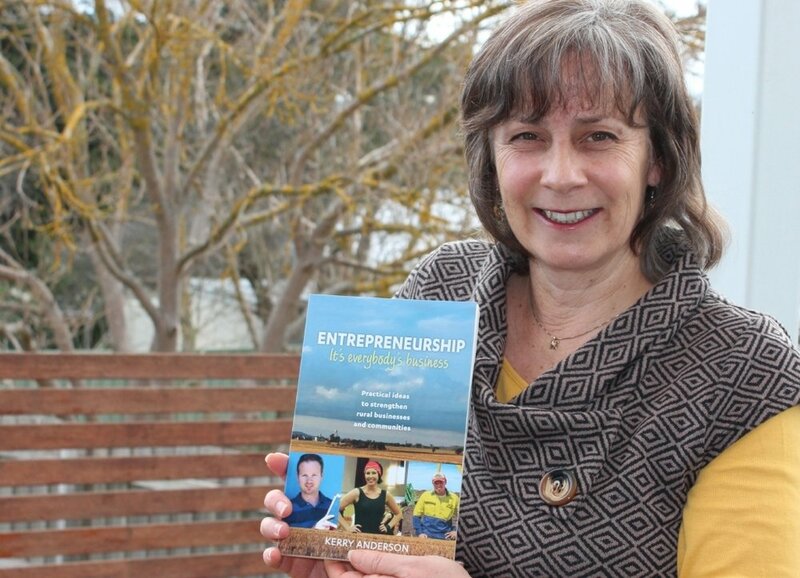 Solving a problem for one such rural online business has resulted in a great outcome for the small town of Quambatook in the southern Mallee of Victoria. Only a handful of businesses have survived in Quambatook with its small population of 249 (Census 2016) and surrounding agricultural communities. So it was with great celebration that the Quambatook & Districts Share Shop Inc. officially opened its doors on the 11th January 2019. Barely a month later, and eleven separate home-based businesses now share a retail space showing and selling their wares. If not for the Share Shop, they would otherwise find it difficult to get exposure in a physical environment for their products. It is a momentous day when I visit in early February. There is a small but steady stream of customers thanks to the Quamby Silo Cinema screening of The Merger later in the day. The Shop has also got its EFTPOs facilities up and running for the first time using a Square credit card reader. Now, this may not seem like much until you understand where the Share Shop has come from and how far it still has to go. For starters, there is NO power or running water to the building! President of the Share Shop, Jodie Russ, recalls how she used to walk past the old store, the interior of which was hidden by black plastic across the windows. Previously it had been home to Ellis’s Hardware and Plumbing Supplies and Tom Hogan’s Grocery Store. ‘I moved to Quambatook ten years ago and never knew what lay behind those blacked out windows,’ Jodie admits. ‘It’s always a shame to see old buildings unused.’ So, it was logical when requests came from local and visiting customers to view Jodie’s products from her online retail business, Retro Vintage Period, that she started thinking of accessing a vacant store front. While the Share Shop has only opened very recently, Jodie points out that a lot of research and preparation went on beforehand. A group of local people expressed their interest in the joint enterprise including the owner of The Quambatook Stores who saw an opportunity to have her wares on sale over the weekend when she was closed for a much-needed rest. Accessing a physical store front turned out to be the easiest of all their tasks. Owner Graeme Elliott, who had inherited the old building, was only too willing to agree to a peppercorn lease to help the group get on their feet. ‘I knocked on Graeme’s door and he was marvellous,’ Jodie recalls. ‘He is so generous in supporting us for the first year to let us accumulate some funds. The only stipulation was that we had to deal with what was behind the black plastic which turned out to be lots of old engines and car parts.’ A clearance sale was organised by a local auctioneer, and the majority of items were sold clearing the way for the new occupants. The lack of power and water could be perceived as a barrier by most people I point out. Settling on a legal and financial model for the group required some further research but they realised that there was no need to reinvent the wheel. 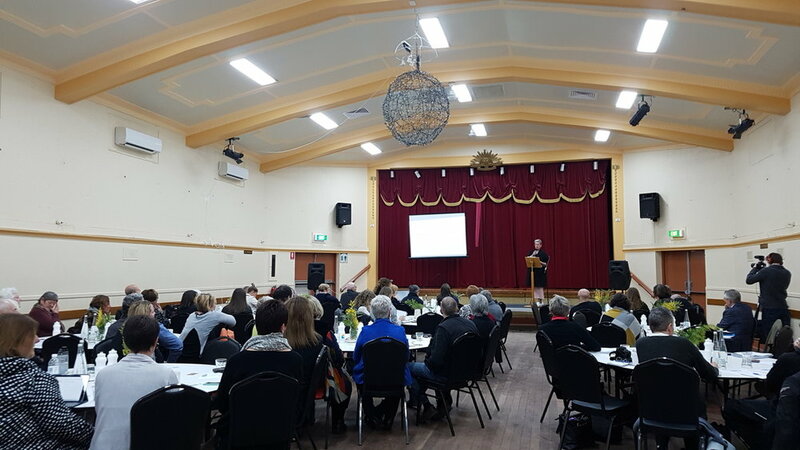 Assistance from the Gannawarra Shire and a mini bus trip to speak with existing cooperative groups in the nearby towns of Sea Lake and Wycheproof enabled them to make the decision to become an incorporated entity. Chatting with the team on duty, it becomes clear that there are many benefits far beyond the opportunity to generate income for local businesses. I’m particularly interested in Zoe who is a year 12 student. ‘I’m just a floater,’ she tells me. It turns out that Sue, her mother, is one of the Share Shop members and Zoe is fulfilling the volunteering component. Her current task is to write out the EFTPOS instructions for all the volunteers which I’m sure will be gratefully received. In fact, their very first EFTPOS sale takes place during our conversation to a couple from Portland in New South Wales who have been staying at the caravan park for the past week in eager anticipation of the silo cinema that evening. Another of their volunteer members, Fiona Williams, operates the EFTPOs under the guidance of Jodie to complete the sale. ‘This is a wonderful opportunity to develop our technological skills,’ Jodie points out as Fiona nervously watches the transaction go through their newly purchased credit card reader. By default, the Share Shop has also become an important social hub to this small community and their Secretary, Kathryn Robson, is a classic example. ‘Fiona and I were wondering what we were doing in the early days,’ Jodie admits, ‘then Kathryn just came in and asked how she could help.’ A district nurse by profession, Kathryn is a constant visitor to the store on her days off bringing her own unique enthusiasm, and what suspiciously appears to be a fetish for dressing up in the vintage clothing for their social media posts. During my visit she performs two super-fast clothing changes to model for the photographs. ‘The flow on effect of the Share Shop is immense,’ Jodie says. ‘It is so important for the town to have a drawcard and we can refer them to other businesses and places of interest. We took a gamble and it’s paying off,’ she concludes looking around with a very satisfied smile. Call Jodie on 0417 306 214. Not many businesses can claim to have been instigated by a triple cake stacking canister, but this happens to be the case when it comes to Retro Respection, a quirky homeware, giftware and vintage lovers’ shop in Collie, Western Australia. Its two equally quirky business partners are an inspiration to all those young mums who may feel trapped at home. With the newly opened Retro Respection store creating a buzz in Collie, I popped in to catch up with its two enterprising business partners, Storm Todhunter and Joleen Brown. As young mums, it was rare for them to both be present in the store at the same time. Straight away it became evident that both are passionate about their products, in the way they dress and what they stock in the store, sometimes purely for conversational purposes. It also proved to be my most challenging and fun interview of 2018. Challenging because they tend to bounce off each other like rubber balls when it comes to conversation, and fun because they just are so determined to enjoy life to its fullest. Yes, it is true that a triple cake stacking cannister caught Storm’s attention at playgroup way back in 2012. ‘A mother asked if anyone wanted one and I said “I’ll have that!”,’ recalls Storm. At the very start of her business journey she started selling vintage items on eBay as a hobby. Joleen, another local young mother also interested in vintage goods and writing a blog – they laugh as they recall a particularly hideous tea set she had collected - soon caught Storm’s attention. ‘We had kids the same age and just hit it off,’ says Joleen, ‘and I had the blog,’ she adds knowingly. ‘Whereas I just jump in with random ideas,’ smiles Joleen. ‘We never expected it to be an overnight success,’ admits Joleen. In 2012 Storm started selling online from her family home in Collie and took up lots of space for stock. When she joined forces with Joleen in 2014 they came up with the quirky name of Retro Respection. ‘It’s a wicked name,’ Joleen grins. ‘An important learning starting off the business was to leverage our circumstances,’ recalls Storm. ‘As a mum without a paid job, I couldn’t even get a credit card!’ Fortunately, a supportive aunt lent her money to get started and has been one of her biggest fans. In a conscious choice, Storm and Joleen have worked without wages and poured their earnings directly back into the business which originally focussed on sales through eBay and ultimately their own website. In September 2018 they took the unusual step of expanding their online business to a physical shop front in their home town of Collie. With a tight budget they asked around and got a six-month trial of a vacant shop at a reduced rent. In a brave step they also decided to open 7 days a week, one of very few businesses to do so in this working town but perhaps a forerunner to positive change. ‘Our reputation is everything and we’ve been professional right from the beginning,’ says Storm, or maybe it was Joleen? (my head is spinning with these two dynamos!) ‘No shortcuts,’ it was agreed unanimously. Without a budget for marketing they have relied on organic growth through Facebook and Instagram and paid careful attention to the statistics. ‘Every time we post “SALE” it goes crazy,’ Joleen happily shares. Getting a point of sale system was a priority with the opening of their shop front. After much trial and error, they settled on neto which provides a basic do-it-yourself website template and, most importantly, synchronises their inventory and sales in the shop, and across the website and eBay platforms. ‘Once you learn a new system you get better each time and more adaptable,’ says Storm. ‘We’re taking it day by day and enjoying ourselves’ Joleen confirms. Somehow, I think they just might! Storm and Joleen have expanded their online business to include a shop front in Collie W.A. Be passionate about your products. Don’t be afraid to take that leap. There is something about a corrugated iron shed that attracts the eye. Iconic markers on our rural landscape, they serve so many purposes, everything from shearing to hay storage and mechanical works. Regardless of searing heat and bitter cold they are places of shelter and productivity. But what takes place within those spaces is changing as indicated by The Old Workshop Café at Anakie between Geelong and Ballan. When my eyes were drawn to an old shed with a vibrant new look about it, I couldn’t help but stop off to find out more. Good coffee and a social gathering place are an essential ingredient of any rural town and Anakie (population 690) is no exception. 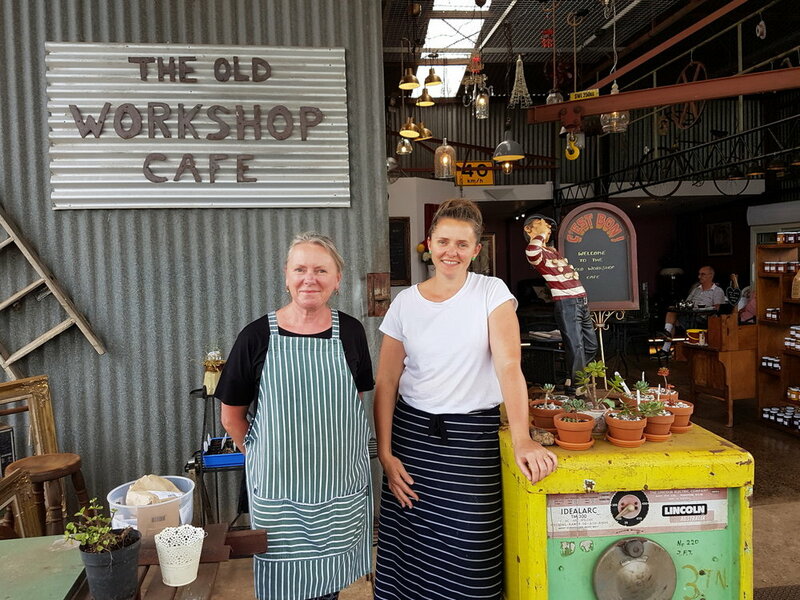 Local businesswoman Debbie Walker has put her accounting skills, chef daughter, and an old engineering shed to good use creating a quality café featuring organic produce for locals and travellers along the Geelong Ballan Road. That’s the short version. In reality, it has been a much longer journey and, like every small business, fraught with its challenges. But at the end of the day Debbie is justifiably proud of her achievement and the opportunities it has brought to her small community. For 25 years Debbie and husband Bob operated their engineering works on this site. As more equipment was acquired and they reached full capacity for electricity, it was time for a move. Adjacent land was purchased, new larger premises were purpose built for the engineering works, and suddenly, the old workshop was vacant. The vacant old workshop promised more floor space, off-road parking and an opportunity to showcase organic vegetable beds and fruit trees as part of the café landscaping. With their existing café experience, Debbie’s planning skills, and Bob’s engineering expertise to fit it out, it should have been a simple transition. Like many small business owners caught in that time warp of investing large amounts of money and keen to get trading as soon as possible, Debbie discovered otherwise. Working in hospitality is not for everyone she cautions. ‘I have to be careful to maintain relationships in a small town and encourage potential employees to come and talk first.’ For those who do have people skills it is a great training opportunity. Being a part of a small community brings many benefits. While the café provides an important space for locals to gather and socialise, it also provides an outlet for local producers of flowers, honey, olive oil, and even handmade glass necklaces. ‘It enhances our business, so we don’t charge them anything to display and sell their goods. My only stipulation is that they have to make it themselves,’ explains Debbie. With an accounting background and 30 years of experience in the family engineering business, Debbie has no illusions when it comes to investment. ‘You have to spend money to make money,’ she advises, ‘and you can’t expect to retrieve your investment in the first year.’ As is often the case, the best of budgets and time schedules can blow out, but the Walkers keep forging ahead regardless. In one extreme example a sewerage plant was budgeted at $5,000 but cost $28,000. ‘It means that our decking has to wait a bit longer,’ she shrugs philosophically. As The Old Workshop Cafe enters its second year of trading, Debbie is feeling very satisfied with their achievements. Their customer base has grown requiring an overflow car park to be introduced. ‘Not a bad problem to have,’ she smiles. Likewise, the garden has grown significantly. ‘It’s a great pleasure to give the menu a twist on a regular basis to incorporate the seasonal produce from the garden.’ Recently they have applied for a liquor license and are patiently waiting on council to respond. Be brave. Don’t be scared to make a decision. Enjoy what you do. If you love it, it’s not work. Rural Australia is increasingly becoming home to artists that are bringing a vibrancy to rural towns. They are bravely forging a lifestyle that encompasses their passion, but how do they successfully make a living Kerry Anderson ponders? All too often we hear that artists are struggling and having to supplement their incomes elsewhere. Regardless of what genre, how can they make a reasonable living from what is often perceived as a hobby? Most creative minded people are not renowned for their business acumen and yet there are many examples of successful artists operating at a high level. If artists want to be seriously considered and earn a reasonable income, they do need to apply some business rigour. There are some difficult questions that should be asked and conscious decisions made if they want to financially survive and thrive. How do they value an item? How do they value their time? How do they value their brand? Apart from the serious collectors who go by a whole different set of criteria; when it comes to valuing an item that old saying ‘beauty is in the eye of the beholder’ rings true. To whomever this piece speaks, it is considered the most valuable. I have never bought a piece of art without considering two things first. Do I like it? And secondly, do I have a suitable space for it to be displayed? If the answer to those two questions is yes, then I finally ask myself: Can I afford it? So, you first have to consider who your art will appeal to and know their price range. Central Victorian sculptor Trevor Prest’s work mostly comprises of large heavy pieces most suited to big spaces. It goes without saying that an art gallery, or a company or university wanting to make an impact in their entry foyer, will pay considerably more than the average home collector. Having said that, I loved his work so much that I did buy a piece and managed to squeeze it in to my house. But how on earth can an artist value their time when they are doing something that they love? Like farmers who choose a lifestyle, this may be just too hard a question to answer. Perhaps a better question is to ask: What total income do you need to live comfortably? Then, it is a simple matter of working backwards and thinking about cash flow, what types of items bring in the best results, and how many you have to sell at what price to meet your target income. Your best-selling and most profitable items must come first. Afterwards you can indulge in your passion. As a starting base you should think about how much it costs to produce (materials etc), not forgetting all those small hidden costs like studio rental or services, advertising, packaging, and transport that quickly add up. And, when it comes to your personal time in marketing your work, make sure you are spending it where it counts. An artist at a Farmer’s Market recently mentioned to me that he was about to stop attending the markets as his items were becoming too highly priced for this type of audience. Good decision as he will not only save on his personal time but also the cost of travel. Lucky, I made my purchase beforehand. Before you start thinking that I buy everything I see, I recently visited Sobrane’s studio in Broome, Western Australia, and left with only a greeting card; mainly because my suitcase wasn’t big enough. It was interesting to see how she has positioned herself as an artist and diversified her products to create a steady flow of income. In addition to the big priced pieces of artwork for serious collectors, there were lots of smaller items that browsing tourists could happily purchase; for instance, cushion covers, cards and smaller unframed art works. Sobrane has also embraced the latest trend where street artists are employed through community grants to paint silos and other large buildings in rural communities creating tourist attractions. Branding is king no matter what industry you work in. If you portray yourself as a struggling artist selling whatever you can, then buyers will expect low prices. Valuing yourself and knowing the worth of your artwork is just so crucial in sending out the right message. It all comes down to perception and how it is presented, from the sales venue right down to the artistic quality of the price tag. In the digital era with capacity for online marketing and sales, there is a much wider reach and audience for artists who can create a strong brand. No business person has every skill required to be successful. The key is to ask the hard questions, recognise your strengths and weaknesses, seek professional advice when required, and surround yourself with a team when taking your business to the next level. A final word of advice from someone who unfortunately doesn’t have a creative bone in her body. It also helps if you’re good at what you do! When I recently wrote this article for Inside Small Business it went viral, obviously resonating with many small business owners. What it highlighted to me is that you can learn a lot by listening to others and avoiding their mistakes. Start by realizing your true value. Like most small business owners in a rural community, you try to please your customers by offering a reasonable price for your goods and services. Often, we drop that reasonable price even lower for a ‘nice’ local who says he or she is doing it tough. They work for a set salary while struggling to raise a family. You know them well because your kids go to school with theirs. Over the years this ‘nice’ local becomes a loyal customer as they work hard to improve their situation and, true to form, each time they cite tough times as they send their children to university, renovate their family home, and then move to a new location and build a new home. In return for their loyalty and in sympathy, you continue to cut a bit off your invoice. Fast forward 25 years and that ‘nice’ local has retired with their healthy superannuation, to enjoy that new holiday home and top model four-wheel drive they have just purchased with ‘their’ hard earned savings. You look at your books and wonder how you’re ever going to retire let alone trade in that old work vehicle that should have been replaced five years ago. Two questions came to mind when I recently heard this sadly true and all too common story. How highly do your customers respect your business? More importantly, how highly do you value yourself? While you provide a high-quality service or product to maintain your integrity and reputation in a small community, dropping your price doesn’t necessarily increase customer satisfaction. They will still complain just as heartily; probably more because their respect for you is already low. And they will continue to expect low prices EVERY time. And, let’s be clear; YOU gave them permission to think and behave this way. So what can we do differently as a small business owner? Understand your worth and respect your right to earn a decent living. Be clear on your product or service’s true value. If compared with a cheaper alternate make sure that customers understand the differences in quality, transport costs, and access to follow up service. Only discount when it is strategic and it doesn’t impact on your bottom line. Offer alternatives such as lay-by and part payments when a customer cites difficulty. Look after yourself first so you can then look after others. I’d love to hear any other tips you may also have. The day that 22-year-old Brendan Earl decided that he wanted to take control of his own decision making was the day he decided to go into business for himself. Fast forward seven years and this savvy young man from Collie in Western Australia is already specialising, expanding his business and has exciting plans for the future. This is just one step in his journey Brendan says. Like many young men Brendan Earl prefers hands on learning and didn’t particularly like school. Fortunately, being raised in a small business family, he was better prepared for business than others. ‘As soon as I could push a wheelbarrow I was working weekends and school holidays for my father’s construction business,’ he recalls. A talent for football (AFL) saw him playing in Perth for a few years which took him back to the family business. ‘Working with dad gave me the freedom to travel back and forwards from Perth several times a week,’ he explains. A run of injuries put an end to his football career, so he became more focused and, in many ways, this setback helped to launch his business. 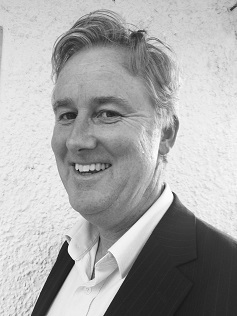 Brendan thought that being a local and having a good reputation would give him a head start in his business journey. He was wrong! He quickly discovered that a personal reputation and a business reputation are two complete different things and had to work hard to prove the value of his new business. ‘It was always hard to get on to tradespeople in a mining boom, so I was on call 24/7 in the beginning trying to break into the market and not wanting to lose a job. It was a bit tough not knowing when your next job is going to be,’ he admits. A lot has changed from those early years of being in business. With a drive to improve himself and work smarter in his business, Brendan continually learns from his mentors and attends numerous business and networking events. Through his observations, and wanting to have a business model that works for him, Brendan noted that clean treated water was becoming more of a commodity. With people becoming a lot more health conscious the need for water filtration was becoming more apparent. It was at this moment that Calybre Plumbing & Gas was transformed to Keip Filtration. By specialising Brendan has transformed his business in a number of positive ways. For a start he has expanded his business base across a wider region - providing water treatment for mines, vineyards and hospitals, wheatbelt farmers and a variety of domestic customers. In fact, this service is now going Australia wide. Scheduling regular filter replacements provides additional customer service. ‘When a filter is installed the customer can forget about it. They automatically go on to an automated maintenance program which is ongoing, and I can schedule to suit both the business and the customer.’ This adds significant value to Brendan’s business. A database has more resale value than goodwill he astutely observes. With a business partner Brendan is exploring a new water filtration project on a much grander scale, collaborating to bring new technology to Australia in 2019. After reading an article about high levels of nitrate, uranium and arsenic in water, he is also starting a fund to raise money to treat water for remote aboriginal communities. In fact, Brendan has been lucky enough – albeit through hard work and sacrifice - to self-fund his business right from the beginning not having to take out a loan of any kind. With new business plans he hopes to stick with this trend having business savings and a good revenue stream. Having seven years of a successful business makes all the difference. FOOTNOTE: We are delighted that Brendan is involved in the Operation Next Gen Collie discussions exploring ways to strengthen his home town into the future. Congratulations Brendan on also being named a finalist in the South West Small Business Awards! Sharing your authentic story as a rural business owner helps you to stand out in a competitive global market and gives customers the confidence to buy from you. As a wordsmith I am constantly sharing stories. Stories that educate, inform, inspire and challenge deserve to be shared. In my youth we relied on oral and print mediums. Today in a digital world the opportunities are much greater. But why should a business allocate time and resources to articulating its story? It all comes back to why should I purchase a good or service from your business? Is it because it is so good? But what if that same product or service is available from multiple businesses? Why should I buy it from you? Customers are becoming increasingly savvy to marketing ploys and, sadly, there is a growing perception with younger generations that business people are profit hungry and unethical. Sharing your story can help explain who you are and what you stand for. In a competitive and global market, effectively articulating your story can help customers decide who they want to do business with. As I wrote in my last blog, when Elise Brown of Fair Dinkum Dog Coats changed her wholesale business to an online one, she was faced with a huge challenge. How could she help customers find her new website? And then how could she convince them to buy her product instead of all the other choices on the market? Telling her personal story has been an important strategy. Through her website and social media Elise has been able to articulate how her business allows her to work and live in a rural community that she loves. Her followers have watched her two daughters grow up in the workshop and carrying their orders to the post office. Through her posts they know her personal values on family, rural living, and caring for animals. She also explains how her product is made and the benefits of using oil skin. Notice how the product came second? Sharing your authentic story and presenting a human face can also help change negative perceptions about the business sector in general. Not only are we members of a community, we are parents and volunteers. As business owners we provide a valuable service, create employment and contribute taxes to support the essential government services depended on by many. As we have recently evidenced, the public can be fickle and perceptions can rapidly change. One minute they are applauding our sporting heroes and the next minute they are tearing them down. Then, after hearing their personal remorse, they are once again defending them. We need more people defending the business sector when it is wrongly portrayed in a negative light. The public needs more information to be able to carefully consider and weigh the evidence instead of making snap decisions. Simple and genuine stories are extremely powerful. They should be embedded on your website, in your marketing materials, and when speaking in public. Not everyone is a skilled communicator so, if required, seek professional assistance to help articulate your story in the most effective way. A skilled communicator will not put words in your mouth or try and spin something into bigger than it should be. They will understand that less is best and authenticity is your main advantage. They will also remind you to think from a customer's perspective. Then, just be yourself and let it shine through. 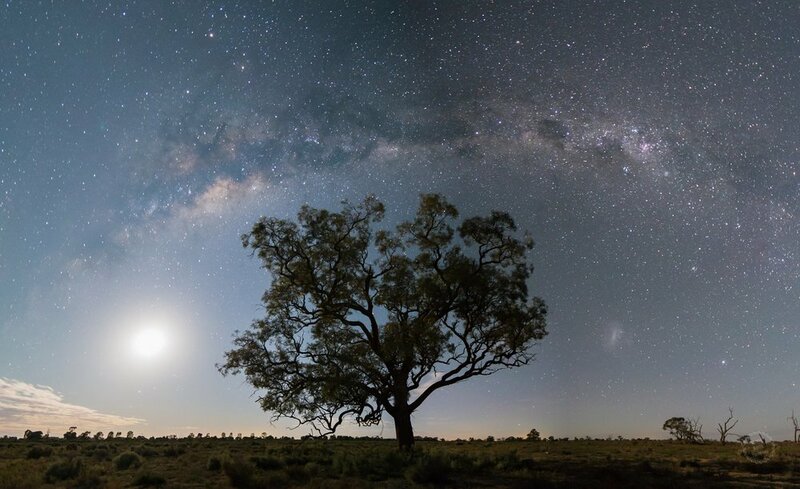 A passion to live and work in the outback took Tom Curtain to the Northern Territory in 2001. Since then he has experienced an industry collapse, reinvented his business, battled a council, and ignored all his mates who said he couldn’t do it. It was a simple matter of being agile and utilising his talents to create Katherine Outback Experience that now travels the east and west coasts of Australia. Ever since watching Landline on the ABC whilst at primary school in Kingaroy Queensland, Tom Curtain has dreamed of living and working in the Australian outback. After finishing boarding school, he completed a three year degree in cattle genetics. ‘Mum and dad wouldn’t let me go any sooner,’ he admits. But as soon as he finished university he was off to the Territory, living out of a swag and mustering cattle. Yep, he was living the dream! Fortunately, Tom had one other skill to draw on. ‘When I first started mustering in the Territory the head stockman gave me a guitar and showed me how to play three chords.’ Ironically this happened whilst sitting around a campfire, an inspirational place to practice singing and writing songs as Tom discovered. He subsequently entered a singing contest and won. Now, with his horse training business dried up, Tom resorted to music. Tom had effectively tested and discovered a new business; however, setting up the Katherine Outback Experience on his property raised a few obstacles along the way. Apart from talent, Tom had three positive things going for him. ‘I knew a little bit about tourism because my parents operated a Farm Stay for 25 years, so I had grown-up in the industry, offering horse rides to visitors.’ The benefits of a university degree also taught him structure, prioritisation of workloads, and to work in a regimental way. And thirdly, he knew from experience that audiences like to see something different. The next challenge was to find an audience for Katherine Outback Experience. Then there was the weather challenge; something that no amount of marketing could overcome. ‘Over the Wet Season, from November to March, Katherine gets too hot and wet to train animals and tourism dries up,’ Tom explains. Using his time productively, Tom initially moved back to his parent’s property in Kingaroy during the Wet Season where he could still train horses. Then he decided that he may as well take his fully trained horses and dogs with him. Katherine Outback Experience is now in its second year of being on the road over the summer months, travelling the west and east coasts of Australia, and the business has reached a new level. As you would expect, the logistics are quite complicated when you take six horses and 12 working dogs on the road together with a horse truck, caravan, car and trailer to carry all the additional gear, horse yard panels, and stockfeed needed for four to five months on the road. Locations, permits and publicity need to be negotiated individually with each town he visits. Thankfully Tom has some welcome support thanks to a chance encounter three years ago when he met his now fiancé, Annabel, whilst hitch-hiking in Western Australia. When I caught up recently with Tom and Annabel during their whirl wind visit to Collie in Western Australia, it was evident that their business model was working well for them. St Bridget's Primary School was doing great business selling food and drinks to the local community out in force for a great evening of family fun entertainment. The pair work well as a team with Annabel keeping the crowd entertained as Tom gets ready to handle a local unbroken horse, explaining his methodology in the process. The dogs are a great hit with the kids and Tom leaves no doubt about his horsemanship skills as he effortlessly canters in a tight circle on a bridle-less horse whilst singing and playing his guitar. And that's all before he takes to the stage to sing with his west coast side kick, Big Bob! With Annabel administering the website and social media pages, it has become a whole lot easier for people to find Katherine Outback Experience but Tom is adamant that the local relationships are still important in getting the word out to audiences. Oh. And did I mention that Tom has made three music albums? His latest is ‘Territory Time’, which won two Golden Guitars at the Tamworth Country Music Festival up against Lee Kernaghan and all the big guns! His Territory mates even helped piece together an impressive video clip for Never Never Land which won CMC Video Clip of the Year and Heritage Song of the Year. Not bad for a bloke constantly on the road! Have short and long-term goals so you know where you want to be and can work out how you are going to get there. Be flexible and prepared to take risks. It doesn’t matter if it doesn’t work, it’s all a learning curve and just one step closer to the next win. Maintain an open mind to allow yourself to keep learning – particularly in a climate where marketing and business trends are changing so rapidly. Small businesses are extremely versatile. They can be scaled up and down according to the times and needs. And there is no better example than the Bacchus Marsh Florist & Nursery currently under the third generation of ownership in the one family. In 1966, only three months after unexpectedly becoming a widow, Josephine Jennings was cajoled by her daughter to have a look at a small plant nursery advertised for sale in the rural Victorian town of Bacchus Marsh. 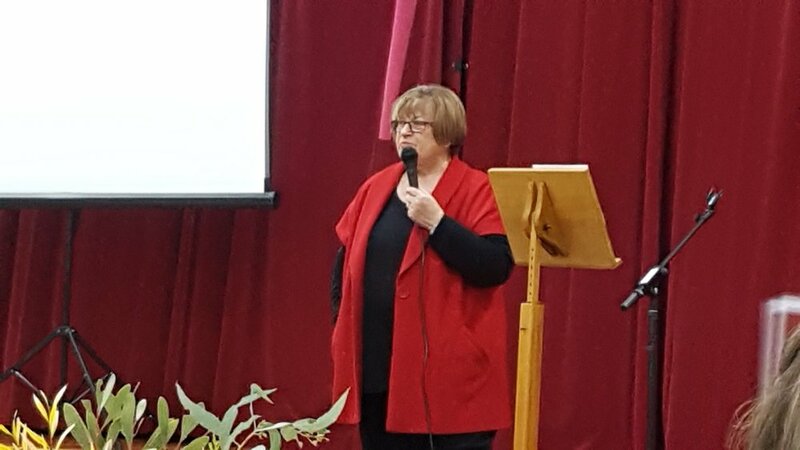 While her husband had worked long-term for the State Rivers Authority involving a move from Maffra in Gippsland to Halls Gap in the Grampians, Josie’s duties had previously revolved around the State Rivers owned home and raising five now grown up children. Suddenly, left without a home and a husband to care for, it made perfect sense for her to move closer to where her married daughter Yvonne Marsden lived with her family in Bacchus Marsh. Housed in a small cottage facing the main street, Josie’s nursery was relatively simple consisting of small plants, seeds, fertilisers, and pots. For some time the adjacent shop, also part of the freehold, was rented to a hairdresser. ‘Mum did ok with the business,’ recalls Yvonne who helped out by driving a ute and trailer to buy new stock from Melbourne when the shop was closed every Monday. After remarrying, Josie’s new husband, Bert Layton, helped out for some time until they got the travel bug in 1971 which is when Yvonne and husband Lyle took over the business from her mother. ‘Lyle thought it would give me something to do now that our three boys were all at school,’ Yvonne recalls with a wry smile, or maybe it was a grimace? They started by leasing then purchased the property. For the first six years Lyle continued working elsewhere to help pay the nursery off until he also joined Yvonne in the business full time. Yvonne says that the best eleven years of her life were when the whole family moved into the tiny residence at the back of the shop so the kids didn’t have to go home to an empty house after school. Perhaps the biggest change to the business was the introduction of a floristry. ‘This ended up as being as good as the nursery in terms of revenue,’ says Yvonne who taught herself the art of arranging flowers. Land at the rear of the shop was purchased to build their new home and the residence was given over to the business. The ‘big drought’ that first reared its ugly head in the 1980’s and re-emerged in the 1990’s effectively shut down many wholesale nurseries as water restrictions impacted on sales and prompted change. Yvonne and Lyle downscaled the business to its original size and built shops to rent out which has effectively become their superannuation. Lyle was then able to give more time to his passion for farming and training race horses while Yvonne continued with the floristry and nursery on a smaller scale. 2007 heralded another change when their youngest son, Brian and his wife Kerryn, bought the business. The value of intellectual property and knowledge of customers and processes should never be underestimated. The transition was a very easy one given that Kerryn had worked with Yvonne in the business for 15 years prior. Brian is quick to clarify that there were no family favours given in the purchase of the business. ‘Mum and dad have worked hard all their life and deserve a good retirement.’ The couple also knew it was a good solid business that has stood the test of time. But times do change and so do customer expectations and trends. For a start, Brian and Kerryn introduced seven day a week trading about eleven years ago. ‘Rain, hail or shine, we are open,’ says Brian. While they employ between four and six staff members at any given time, he and Kerryn work Sundays and public holidays to cut down on penalty rates. Their daughters, Jamie and Keely - great-grand daughters of Josephine - also work in the business so there is the potential that one day there may be a fourth generation added to this family dynasty of small business owners. 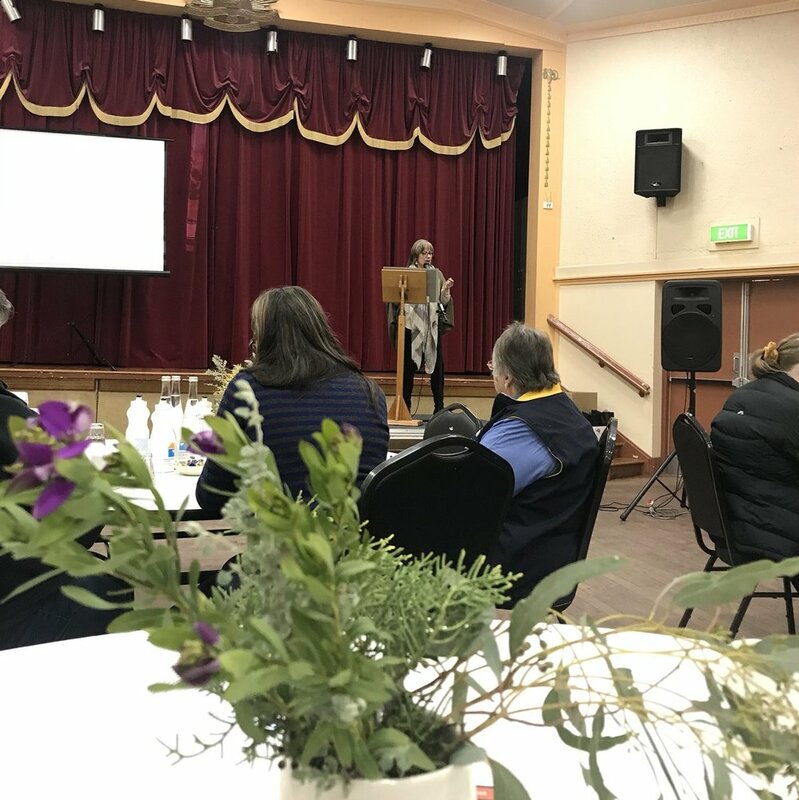 Whether scaling up or scaling down, or simply doing what it always does best, the Bacchus Marsh Florist & Nursery is a great example of how small business families can live and work where they love over many generations. ABOVE: Josephine Jennings just prior to purchasing the Bacchus Marsh Nursery and her daughter Yvonne who later took over ownership. YVONNE: Work it yourself. You have to have staff but it pays to always be around. LYLE: Own your own property. BRIAN: Don’t spend more than what you earn (impressed on him by his mum!). KERRYN: Understand that you can’t please everyone. If anyone deserves to put their feet up on Christmas Day it is our small business people. Naturally our customers would agree. Or would they? As Christmas approaches, our business people are starting to look decidedly tired. If they’re in agriculture, chances are they are busy with harvest. If they’re in retail then it is potentially their biggest earning period of the year. And, if they’re in the service sector then it is a rush to complete those big urgent jobs before Christmas and the dreaded ‘shut down’! One downside of being in business today is that there is a huge assumption by customers that businesses will be open 24 hours and seven days a week. If I run out of milk, surely a shop is open? If my toilet is blocked, it has to be fixed now! While we love to encourage our city cousins to spend their dollars out in the region, their expectations are sometimes hard to meet. They are genuinely puzzled as they drive into a rural town to find most of the businesses closed after midday on a normal Saturday let alone on Christmas and Boxing Day. What they fail to understand is that predominantly small businesses in rural towns are family owned and run. In order to spend quality time together as a family they need to shut their business from time to time. This is important for their personal health and relationships. Anyone who has hired staff will understand that penalty rates are prohibitive for many small businesses that simply provide a living for the owners and little profit to spare. My advice to small business owners is not to feel guilty. Simply plan well ahead and communicate with regular customers your intention to close for the holiday period. Place a sign on your door and website explaining that you appreciate their understanding. And, if you are a customer, please plan ahead for your needs as much as possible. And, when faced with a closed sign on a business door, be happy that this small business family is taking care of itself. When we are rested, we will be back to serve you with a smile on our face. Wishing you all a wonderful Christmas. Relax. Business can wait! In what many would term an unusual career pathway, Shayne Mostyn has been preparing to be self-employed for most of his adulthood. From the army to technology; from the Gold Coast to the dairy town of Cohuna, every step and new skill has prepared Shayne to create his own destiny in a rural town where he was blinded by the stars. Six years in the army taught him one of his greatest skills. ‘Tolerance,’ Shayne says. ‘I cope with day to day stresses much better than most people. When I am out at 2.00am doing a night photography course with a storm raging around me,’ he explains, ‘I weather the storm a lot better. Exiting the army, he then became a technician for Xerox in Sydney followed by a stint working at the Olympic Games. Technology is another expertise he has accumulated. Working for Xerox and IBM taught Shayne about processes, another important element that has prepared him for business. ‘Flying by the seat of your pants is definitely not the way to manage a business,’ Shayne says. As is often the case with tree changers, Shayne first discovered Cohuna in northern Victoria when he and wife Sarah were visiting her sister over the Easter holiday five years ago. Arriving in the small agricultural town of just over 2,000 population they discovered that there was no reception for their mobile phones via Vodaphone. Two weeks later Sarah was offered a job with an accounting firm in nearby Echuca getting offered more money than she was receiving on the Gold Coast. Their fate was sealed! Owning a farm was a dream of Shayne and Sarah but it soon became evident that a traditional dairy was beyond their means. ‘With a $2.5 million buy-in required we decided to go with a different business model,’ Shayne explains. An episode of Master Chef featuring goats cheese gave them the idea to convert an old dairy farm to breed and milk goats, a much more affordable solution. Hmm in light of the recent dairy crisis, he is probably right! With Sarah driving the product development and marketing their boutique soaps made from goat’s milk at Windella Farm, Shayne has been free to pursue other interests. It soon becomes clear that he is not one to sit around and lounge at home. That very first weekend in Cohuna he saw the stars and took his first astro shot. Actually, that was the big selling point when it came to relocating there. 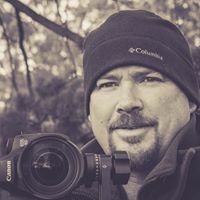 That was the catalyst to establishing Shayne Mostyn photography which is now one of his favourite past times and an increasing source of revenue as he studies what is the best business model in this field. ‘Everyone has a camera these days and, even if they want professional photos, many aren’t prepared to pay for it,’ he says. As far as photography is concerned, Shayne believes there are three sources of revenue. 1. Selling artwork through a website; 2. Paid photography for special family events and commercial work; and 3. 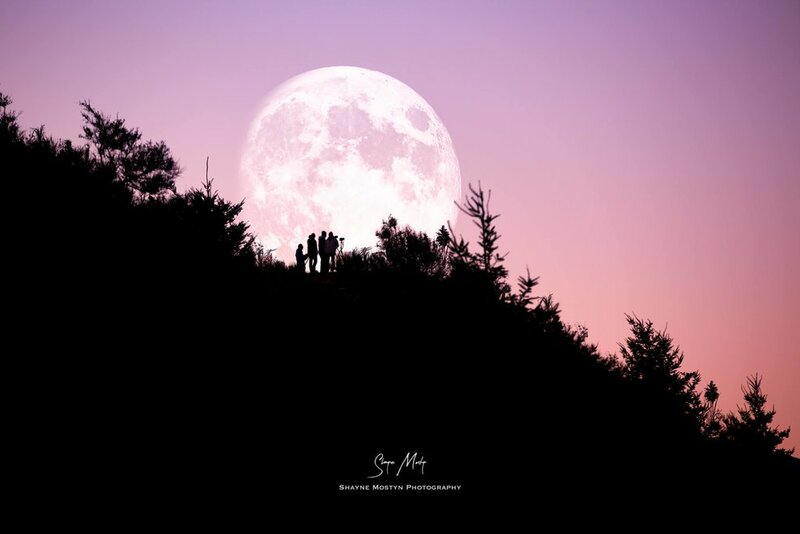 Teaching photography through workshops. The latter is what Shayne is finding most successful. 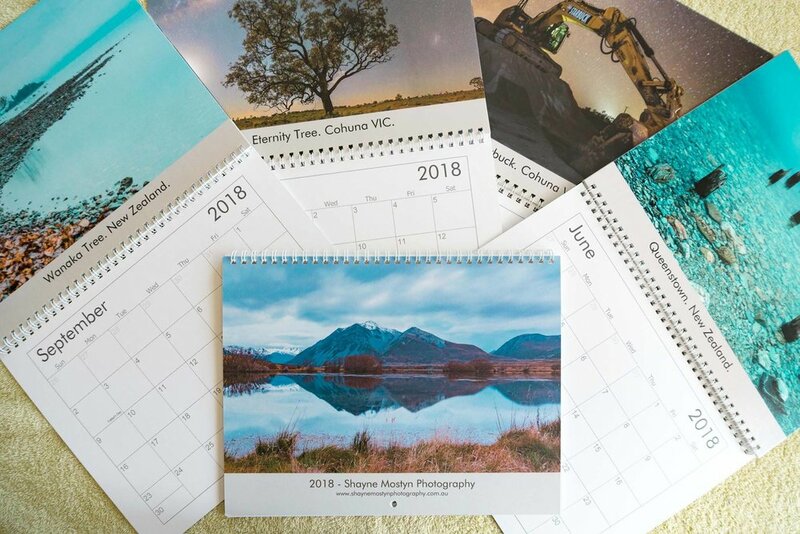 Collaborating with Matt Krumins, a Melbourne based photographer, Shayne is offering city photographers something they can’t find in Melbourne – the stars. Weekend workshops are bringing city folk to the country. They start with the theory, photograph at night, and then edit and reflect by day. Becoming part of a rural community has had a huge impact on Shayne and Sarah. And local connections leads to more work as Shayne has discovered. Drawing on his technical skills and love of a challenge, he has his finger in many pies. 25 local businesses now entrust their websites to Shayne for regular updates and he is also trained to do specialist hoof trimming through a local vet for local dairy farmers which involved training in the United States. When I ask what Shayne thinks about living in a rural town he pauses for a moment. Five years living in a rural town and Shayne’s goal is not to be working for anyone else. That means doing something different in Cohuna hence the Astra workshops and a new idea to combine them with a tour of the Murray River. ‘There are plenty of people doing this type of thing but I can do it differently. I’m looking for the wow factor,’ Shayne says. Some would say he has stars in his eyes! Diversify. Don’t do what everyone else does. Follow up with everything you do. ‘Must have’ photo list for a wedding essential. Be honest about what you can do. Is your rural community ready to establish an entrepreneurial ecosystem? How can we create a collaborative culture where entrepreneurs are valued, nurtured and supported? Sonia Wright from Operation Next Gen Cohuna joins the conversation. Collaboration and Cooperatives: Why is collaboration essential in a rural town? How can a group of people collaborate to make a business a reality? Join a partner of the award winning Bakery on Broadway to discuss how they did it. Can your rural business afford not to be on the internet? Elise Brown from Fair Dinkum Dog Coats will explain how she transformed her wholesale business into an online retail platform.